I love having an instant pot! 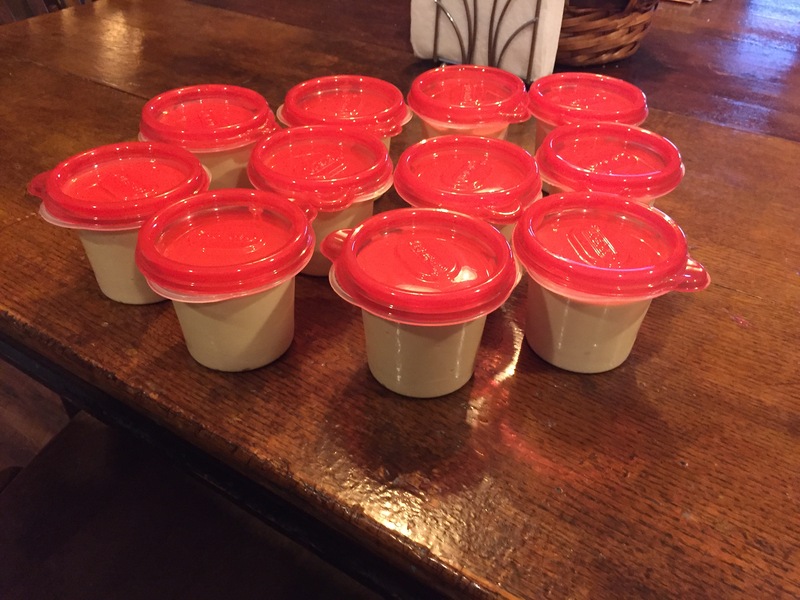 The most common things I make is homemade Greek yogurt and boiled eggs (along with many dinners!). These “boiled eggs” are so easy! I use boil 14 eggs to fit in my plastic carrier, but you can just use a dozen if you want. Measure 1 cup of water. Put lid on, and make sure vent is closed. Natural pressure release for 15 minutes. 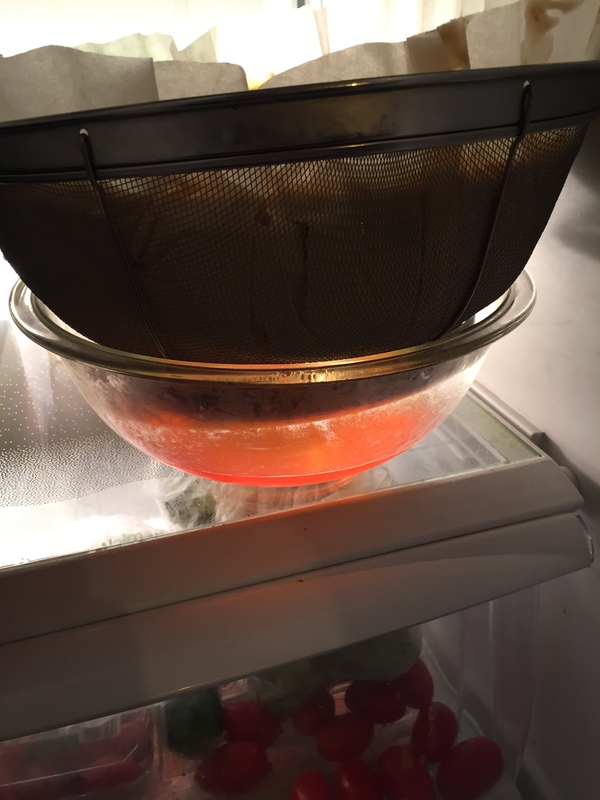 Place eggs in an ice water bath (I accidentally broke a few…). Ready to stick in the fridge! They peel easily and have a fantastic yolk! Enjoy! I had to make some adjustments to my meal plan for this week, so I thought I would reflect those here :-). We are actually eating dinner in the dining hall several days this week, so I moved some of the meals that we would have had this week to later in the month. DH stands for dining hall. We would have had more meals in the dining hall, but when Robert and Ethan are gone, we’re going to just have easy meals at home. It is easier to stay home when Robert isn’t here. I received my Instant Pot Tuesday, and I am in LOVE. I have only used it 3 times, but things have turned out really well each time!! The first thing I did was make pinto beans, and they turned out perfectly in only 45 minutes (unsoaked… next time I will soak and it’ll take half the time). I made boiled eggs yesterday and they were perfect!! There are lots of options out there to make them, but this was the easiest: 1 cup water, place a dozen eggs on the trivet, put the lid on, set manual for 2 minutes, then NPR (natural pressure release… leave in there without opening, basically) for 15 minutes. Place in a bowl with cold water for a little while (I didn’t time it). The peel comes right off and the yolk is perfect! I forgot to take pictures :-(. Next time I will! The next thing I decided to make was yogurt!! I followed the directions from This Old Gal (with a few little changes), and it was super easy! 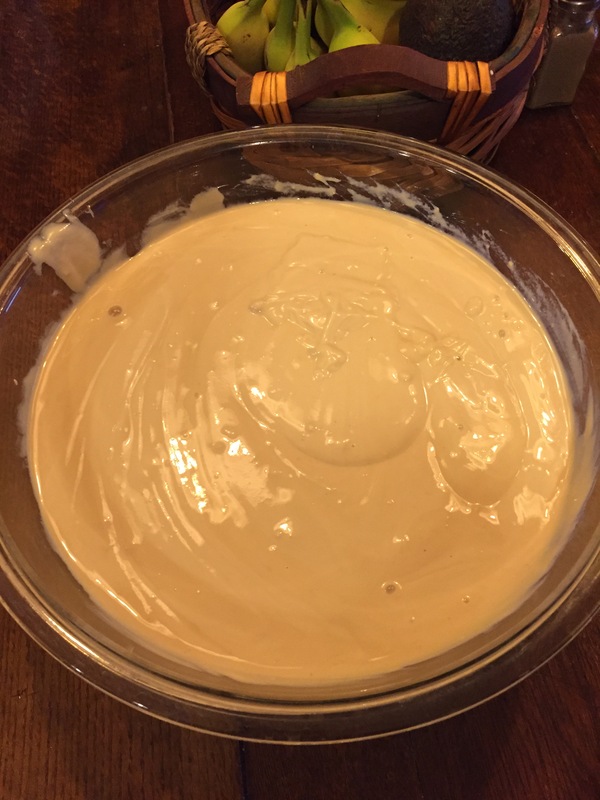 I added sweeteners and Mexican vanilla to make it the way our family would eat it. And my gosh, it’s SO amazing!! It tastes like Greek God’s Honey Vanilla Greek Yogurt (which is our FAVE). 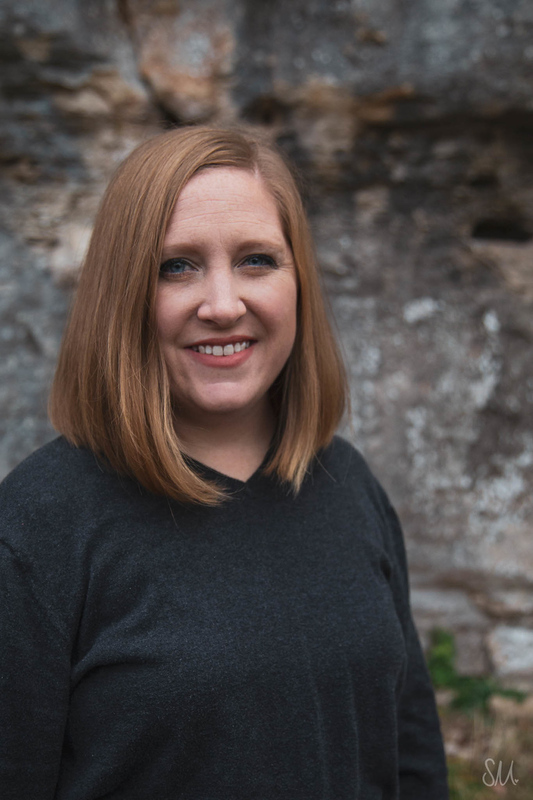 I’ll share how I made it, and I’ll share what I used to sweeten it. It looks different (dark) because of my sweeteners. I use HEB whole milk. Be sure to NOT buy ultra-pasteurized milk as it won’t work correctly. I bought Fage plain yogurt to use as a starter. Pour entire gallon of milk in Instant Pot. 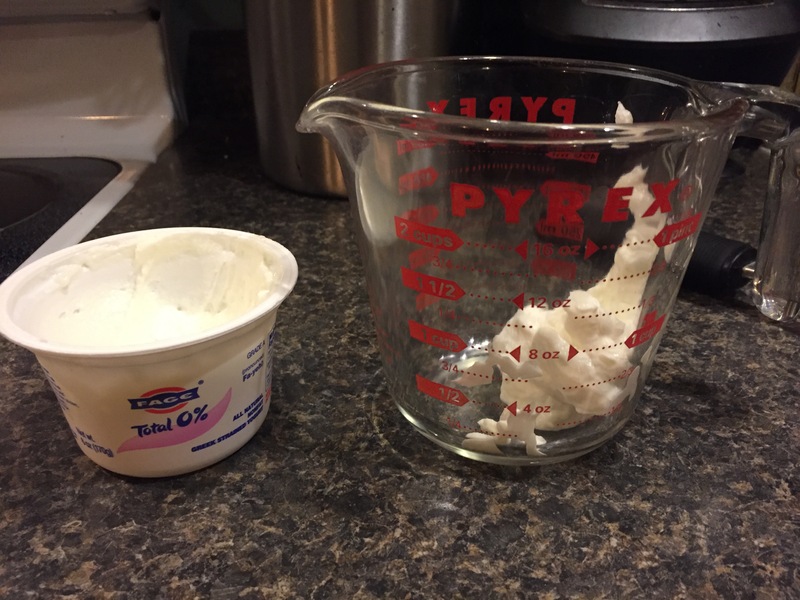 Scoop 2 tbsp of plain yogurt into a measuring cup and set aside. 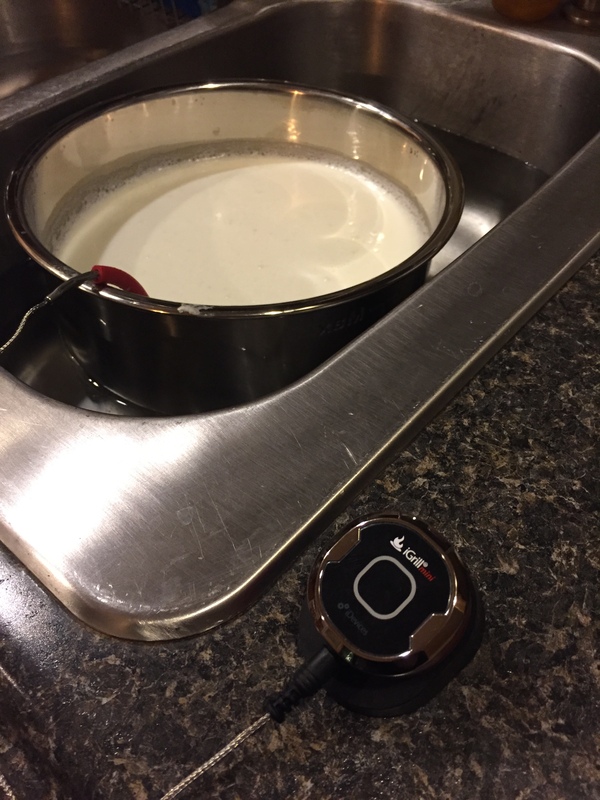 Press the yogurt button and select boil. Bring to boil. When it beeps, check temp. It must be 180-185. I had to do 3 cycles to get it to 181 (but the second and third cycles were super short). Once it’s 180-185, place pot in a cool bath of water (not ice, just cool water). Bring temperature down to about 110 degrees. I have an “iGrill mini” thermometer and it tells me what the temp is on my phone! It definitely makes this process easier. When it reaches temp (must be at least 110 degrees, maybe even a couple degrees cooler, but not higher), pour one cup of the warm milk in with the starter. Stir with a whisk. Pour back into pot and whisk it all. 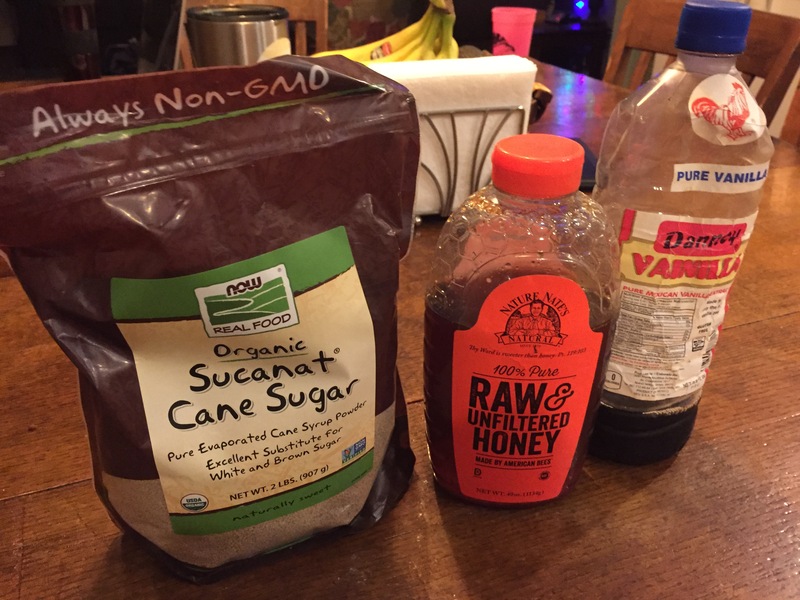 To sweeten it, add 1/2 cup raw honey and 1 1/2 cups sucanat. 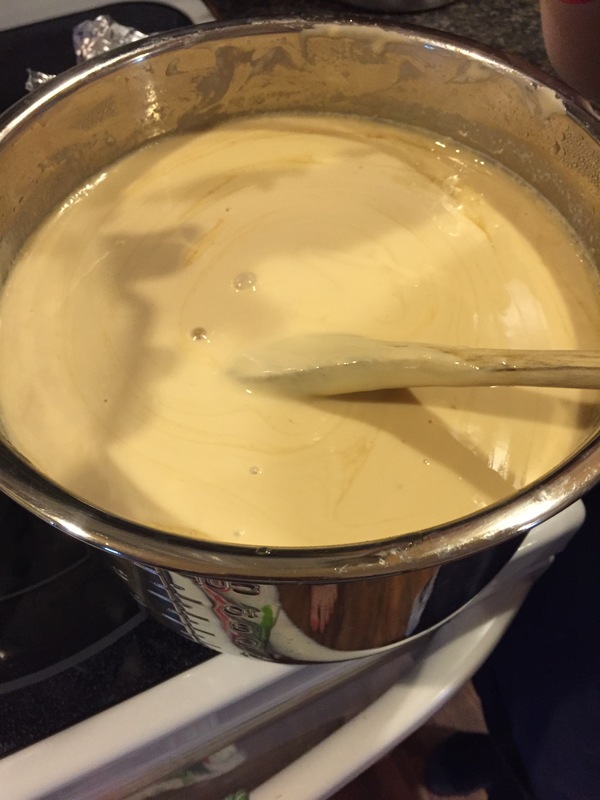 Add 1 tbsp Mexican vanilla (or any vanilla… I have to use this type of vanilla because it’s made without alcohol). 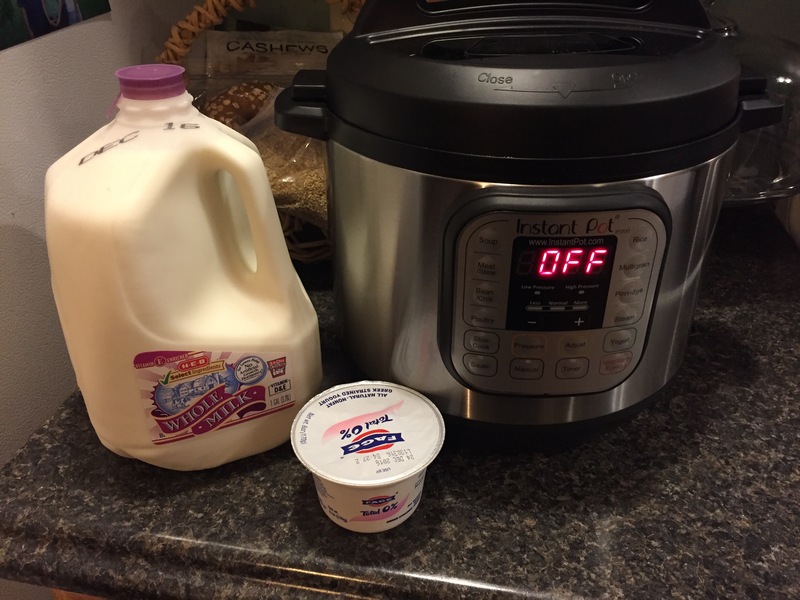 Place pot back in Instant Pot and hit yogurt till it shows 8 hours. Put the lid on and walk away. 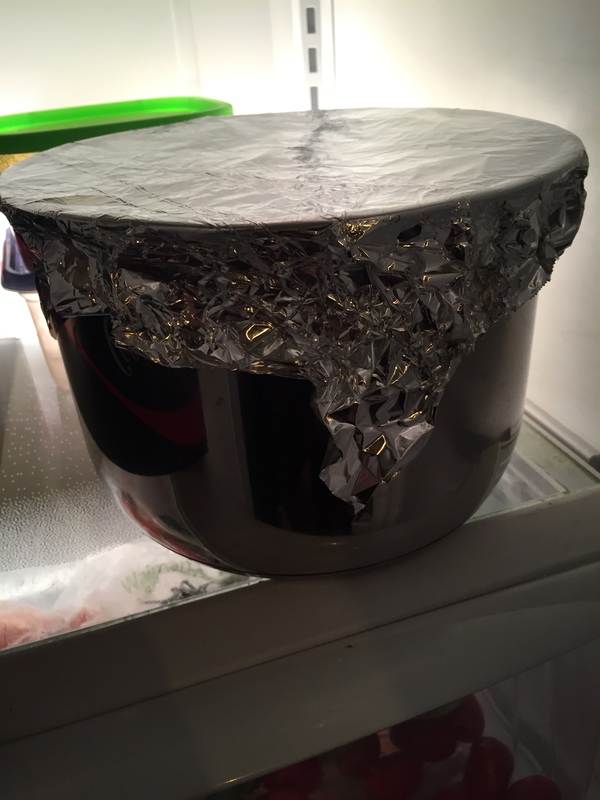 8 hours later, place pot (covered) in the refrigerator. Once it is thoroughly cooled (it took about 6 hours for me), it’s time to strain it (if you want Greek yogurt). 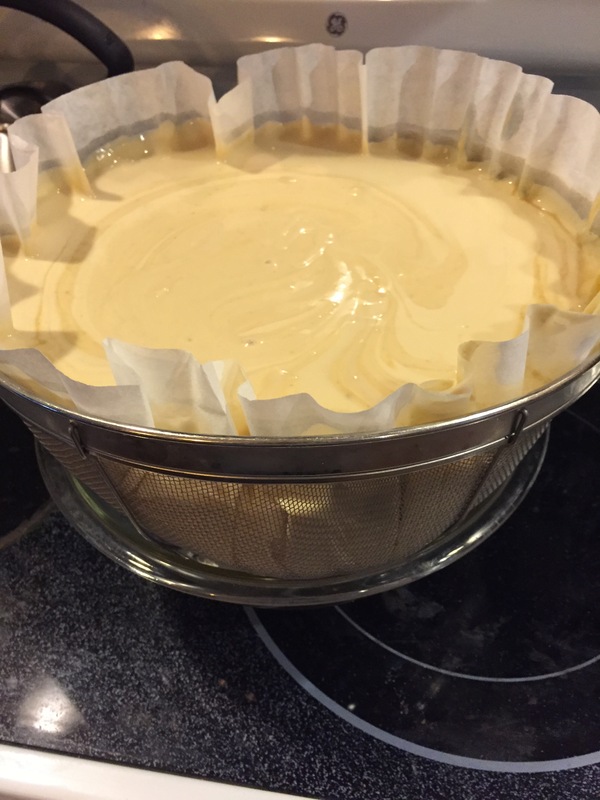 I used a metal colander, a very large coffee filter (we have these here in the dining hall! ), and place those on a bowl. Place this back in the refrigerator. Notice the odd color of the whey. That’s because of the sucanat, raw honey, and vanilla. It looks orange here, but it’s more of a brown color. Let it strain for at least 2 hours. I let mine strain for 4 hours. Pour it into a bowl to make it easier to spoon out into individual bowls. This made 11, 8oz bowls of yogurt. They are very full. I probably could have used one more and spread it out a bit. I imagine this will go very quickly and I’ll be making yogurt 1-2 times per week! The kids love it! Currently, I’m making homemade granola to eat with this! Check back for that recipe!